Originally from New Jersey, Dave has been with Dive Utah since 1994. Starting as part-time help immediately after finishing his Open Water and working his way up to Manager, part owner and a PADI Course Director, Dave's biggest diving accomplishment was marrying one of his students!! Master Instructor and Instructor Trainer, Jim Miller, has been diving for over 35 years. He loves the water (but, sometimes gets seasick! ), has specialties too numerous to list and is a patient, thorough instructor. Divers who are unsure of their abilities will feel comfortable with Jim. Chris is Dive Utah's Director of Technical Dive Training. He is an Instructor Trainer for all of the PADI Tec Rec programs from Sidemount to full Trimix and is one of a handfull of PADI Rebreather Instructor Trainers in the Western United States, offering all of the Rebreather programs on the Poseidon MKVI Discovery and SE7EN Rebreathers. Chris also enjoys teaching non Tec programs from Open Water Diver through the Instructor Development Course. Greg is a great teacher with a fun sense of humor. Students around Greg for a few minutes will find themselves learning with a smile on their face! He is knowledgeable and adventurous and challenges his students to be their best by his example. I've been a scuba diver since 1990, making my first dive in Utah's Blue Lake. That experience changed my life. Within four years of learning to dive, I was teaching people to dive. Now, I teach people to teach people to dive as one of Dive Utah's PADI Course Directors. My two diving passions are dive safety and unique diving experiences. I'm a Divers Alert Network Instructor Trainer for the DAN diving first aid programs because I want more divers to be prepared for problems. Though Kent was certified in April 2007, it took a dive trip to Roatan in 2008 to get him hooked. After that he developed a great love of the sport of diving and finally a love of sharing this great adventure with others. He became an instructor in March 2013 and have enjoyed working with others to open their world to diving. His favorite class to teach is Open Water. After over 20 years of teaching in Orem, Doyle has retired and now spends his time teaching scuba. With additional experience coaching high school and community swim teams, Doyle is a natural in the water. Whether it is ice diving in Deer Creek or wall diving in Grand Cayman, loves to dive! Dave has been an instructor with Dive Utah since 2004. Diving is his passion and and he feels that there is nothing more exciting than to see the awe in a student's face as they experience the underwater world for the first time. Rich has been diving since 2000 and teaching since 2005. In 2007 he was recognized by PADI for certifying 100 students in one year. His favorite dive destination is Bonaire, but he's now armed with a drysuit he's ready to dive anywhere! John has been active in Dive Utah since 1999. He enjoys dive travel with his wife and kids. John is quite the underwater photographer and was one of the finalists of the Aqua Cat's 2008 photo contest! Steve has been diving since 1991 and has been an instructor since 2002. He learned to dive on the Great Barrier Reef. He's excited to teach new divers and see them underwater for the first time, knowing that they are beginning a new adventure. Steve says - "Come along and experience the amazing underwater world!" Kevin got certified with his in 2003 with his family, dove Dominica and it was all history after that. Kevin came to Dive Utah in 2007 as a Divemaster where he worked with a collection of Dive Utah's great instructors for four years. Kevin loves teaching and watching his students' progress and excitement. Tim has been an open water diver since 1993 and instructor since 2008. He likes the Channel Islands in Southern California and the many lakes in Utah. He enjoys teaching because it helps people get over their fear of the water and learn a recreational sport they can continue doing for many years. As a Master Diver Trainer, Ken specializes in Underwater Photography, Altitude diving, Deep diving, Night diving, Boat diving, and Underwater Modeling. His greatest thrill is to see the smiles on the faces of the students when they realize what they have just accomplished. 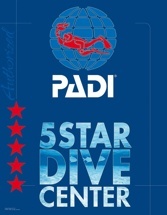 Chuck has certified as a instructor and is teaching at Dive Utah Ogden!